The Chan Hampe Galleries exhibit artwork by Singaporean artists, with the aim of encouraging and promoting the development of the Singaporean visual arts community. Although the galleries exhibit a wide selection of art, many of the previous exhibitions have been centred on artwork that draws upon objects or cultural reference points from Singapore. These have included anything from paintings of the tropical landscapes found in Singapore to the reimagining of newspaper obituaries as an art form. While the subject matter may vary greatly between artists, every exhibition promises to portray the familiar and mundane in a creative, unconventional manner. 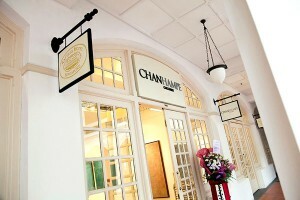 The Chan Hampe Galleries are conveniently located within the iconic Raffles Hotel, which lies next to City Hall MRT station. Admission to the galleries is free. More information is available at the Chan Hampe Galleries website here: http://www.chanhampegalleries.com/.